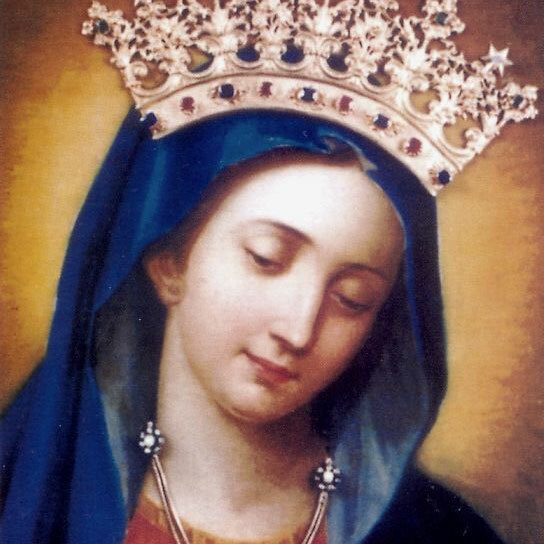 If the protection of Our Lady is necessary to overcome the attractions of the world and overcome the hard and insistent struggles of the body, much more is required to fight against the devil, who is the most astute of our enemies. When the serpent was chased out of Paradise, the serpent lost the friendship of God, but retained his intelligence, which is far superior to human intelligence; devoured by hatred of God who punished him, the devil burns with jealousy towards the human creatures, destined for eternal happiness. He puts his wickedness into action, using every snare to induce sin, so as not to regain the grace of God and let men die in impenitence. The Holy Church, who knows this, has placed this invocation in the liturgical prayers: “Ab insidiis diaboli, liberty nos Domine!” – Deliver us, O Lord, from the snares of the devil! The Holy Scripture presents us with the infernal enemy like an angry lion: ” Be sober, be watchful. Your adversary the devil prowls around like a roaring lion, seeking someone to devour. Resist him, firm in your faith!” (1 Peter V, 8-9). In the form of a serpent, Satan tempted Adam and Eve and succeeded victoriously. To deceive them, he used a lie: ” For God knows that when you eat of it (the fruit) your eyes will be opened, and you will be like God!” (Genesis, III, 5). In reality, the devil is the father of lies and it takes much prudence not to fall into his traps. The devil tempts everyone, even the good ones, indeed especially the good ones. It is useful to know the devil’s many snares in order to get rid of it. He is content to get little from a soul; then he asks for more, bringing the soul on the edge of the precipice, he then gives a stronger attack … and the soul falls into mortal sin. The devil whispers to you: Commit sin! Then you can confess after! … God is merciful! … Nobody sees you! … How many persons sins more than you! … In the last period of life, you can give yourself seriously to God; for now, think about enjoying life! Slows down or cut the channels, from which the soul receives strength: Rare confessions and communions … and without fruit of conversion; prayers reduced or completely omitted; boredom during meditation and spiritual readings; neglect in the examination of conscience … The more the strength of the soul decreases, the more the devil’s strength increases. In his many assaults, the devil does not get tired; He often tries alone to tempt someone; But when he fails, he will call seven more demons worse than him and resumes the fight. He knows the temperament and the weak side of everyone’s spiritual life. He knows that the body is inclined to evil and soothes its passions, first with thoughts and imaginations and then with desires and bad deeds. 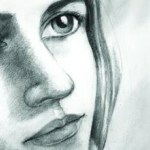 He insensibly brings the soul to many dangerous occasions, whispering to the soul: In that glance, in that moment of freedom, in that encounter with someone … there is nothing wrong, at most there is just veniality … Then at the right time, he intensifies the temptation and behold the ruin of that soul. 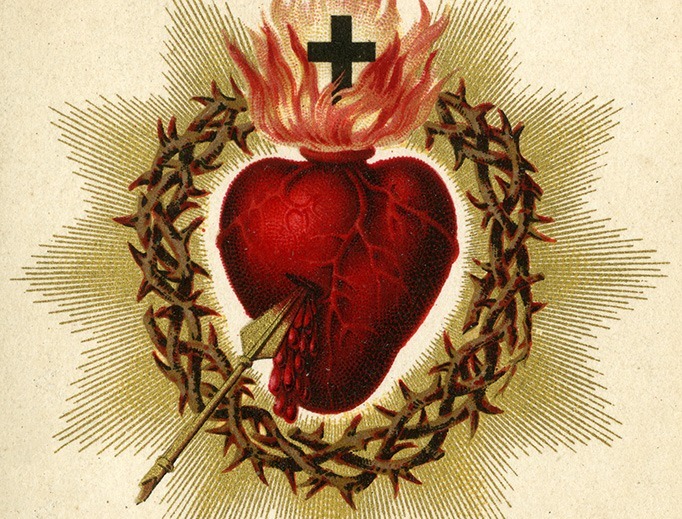 Satan tries to triumph by attacking the heart; when he succeeds in binding it with some sinful affections, he easily sings victory over the soul. Who can help us against the snares of the devil? MARY! God told the infernal serpent: “A Woman will crush your head!” (Genesis, III, 15). Our Lady is the terror of hell. Satan fears and hates Her, first of all because She cooperated in the Redemption and also because She can save those who have recourse to Her. Like the child terrified at the sight of a snake, he calls his mother shouting, so we in our temptations, let us call Mary, who will certainly come to help. 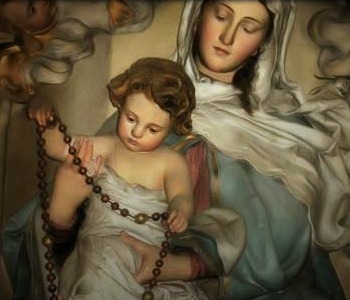 Let’s take the crown of the Holy Rosary, kiss it with faith, profess to rather die than give in to the enemy’s insidiousness. 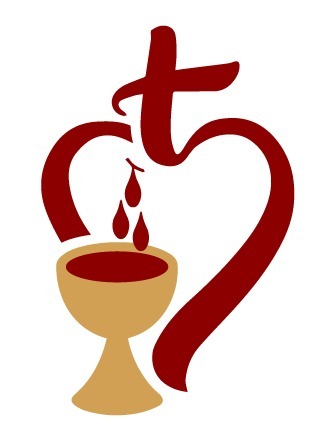 It is also very powerful and effective this particular prayer, especially when the devil assaults: “O Lord, may your Holy and Precious Blood be upon me to strengthen me and on the devil to strike him down!” – Repeat carefully this prayer as long as the temptation lasts and you will see its great effectiveness. St. John Bosco had a vision, which he then told his young children after. He saw a serpent in a meadow, seven or eight meters long and of extraordinary size. He was horrified at this sight and wanted to escape; but a mysterious person, who used to guide him in his visions, told him: Do not flee; come here and watch! The guide went to get a rope and said to Don Bosco: Dangle this rope to trap the head of the snake, do it tightly. He then passed on to the other side of the snake, lifted the rope, and with it lashed the back of the beast. The snake jumped, turning his head to bite, but got more caught up in the rope. The other end of the rope was then tied to a tree and a metal railing. Meanwhile the snake was struggling and it gave such blows on the ground with its head and with its coils that it tore its own flesh. It continued struggling until it died and only the skeletal part remained. The mysterious character picked up the rope, made a ball of yarn with it and placed it in a box; then he reopened the box again and invited Don Bosco to look. The string was arranged to form the words “Ave Maria”. See, he told him, the serpent represents the demon and the rope represents the Hail Mary or rather the whole Rosary, which is a continuation of many Hail Marys’. With this prayer you can beat, win and destroy all the demons of hell. – Drive away from your mind thoughts that are not good, which the devil usually provokes. – O Jesus, recalling your crowning with thorns, forgive my sins of thought!